It’s Channel 10’s biggest salvo for the official launch of the ratings year, but the refreshed version of Dancing With The Stars has already been hit by budget cuts. The rejigged format will be straying away from Seven’s version in order to attract a younger demo and 10 has been looking to the UK version (known over there as Strictly Come Dancing) for ideas but it turns out those ideas cost too much money. One of the distinct differences between the UK and Australian versions in the past was the number of judges. Channel 7 only used 3, but the UK version uses 4. Channel 10 were originally going to have 4 judges like the UK model, but reduced the number to 3 at the last minute in order to save money. In fact the fourth judge was about to sign on the dotted line when 10 made the shock announcement they had been dropped due to budget cuts. The new series has also caused controversy within the ballroom circuit because very few of the dancers from the Seven series have been allowed on 10’s all-new version. It’s unknown if this decision was made to save costs or as part of refreshing the show. Another difference in 10’s version will be the role of the hosts. 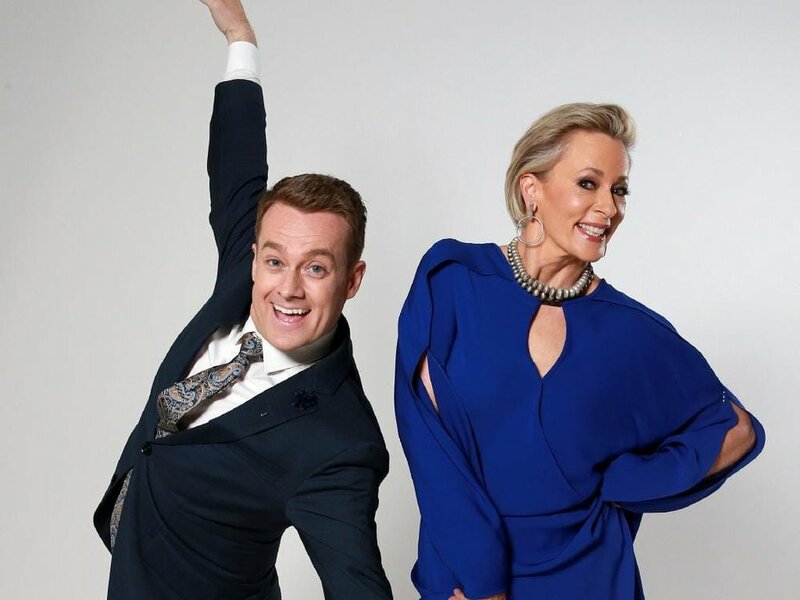 Grant Denyer and Amanda Keller will both be front and centre. They will work as a team as opposed to having one of them out the back interviewing the stars. The network has already faced an uphill battle after the entire cast (except one) was leaked by Peter Ford before any official announcement. With the launch set for February 18, trying to generate publicity is going to be extremely hard. News websites and tabloid magazines are only interested in content about Married At First Sight at the moment as it is driving sales and clicks. Even in its hey day My Kitchen Rules did not generate the kind of interest editors are cashing in on with MAFS. If the publicity battleground wasn’t enough, it will be interesting to see if 10 can reformat the show to appeal to its under 50 demo and gain a sizeable audience in doing so. The original version on Seven appealed to an older audience and by dismissing that audience who already loves the show, channel 10 could end up appealing to no-one.